Purchase of individual keys implies overpayment from 20% to 50% for each specific activation key for the operating system. Thus, if you make a purchase at a time in the form of a batch purchase, where there are 3 activation keys for the system, then you can save quite a lot. The speed of the one-time purchase is quite high, since you do not have to do the same actions several times and wait until you receive the purchased activation key. When buying this key package, you receive them within 20-60 seconds after payment, which incredibly saves your time and nerves while waiting for the purchased goods. 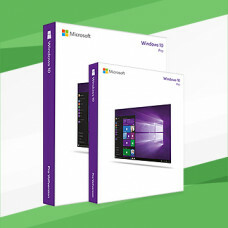 If necessary, you can make this purchase together with your friends or relatives, which will several times reduce the cost of this OS package. Thus, you can divide the purchased product at a price value into several parts and get a high-quality licensed operating system Windows 10 at its disposal practically for a penny. According to this OS the points of view of the pre-installed applications on board, it should be noted that this system is by far one of the most complete in terms of applications that have the ability to service it without the additional installed software. It is also worth noting that the preinstalled programs are all developed by Microsoft, which guarantees their quality and purity in terms of virus threats. Speed ​​response of the operating system in various situations is high enough and for this reason, this program is often chosen not only by computer game enthusiasts, but also by those users who are related to the business. Consequently, the system is flexible enough and multifaceted, which allows it to carry out many-sided tasks and at the same time not to hang up, as often happens with its "classmates". For today, the editorial "Pro" has the ability to support the latest hardware, which is also a big plus of this operating system, as it can expand the components of the system unit, fully function and constantly evolve with every upgrade. The more you will not have problems with the fact that the system does not support a certain amount of operating memory, or it slows down when you do not need to do it at all, as you will be able to independently adjust the working power of this product due to the upgrade of the system. An important thing in the operation of this OS is the fact that it has the ability to provide the user with the ability to customize themselves in the way that is necessary for him. There are no restrictions in terms of disabling updates, or activation of any additional system settings that take place in the editions of the lower class. If buy Windows 10 activation key, you can notice that this version of the system is updated much more often than all the others. It is worthwhile to understand that this system has the ability to receive both a "standard" update package and an "additional" package. The additional packages of updates mean the possibility to install in the system more large-scale updates than those that are received daily by millions of users using other versions of the "dozens" around the world. Of course, talking about the numerous pluses of the Windows 10 operating system in the Pro edition can be long enough, since this version of the program is by far one of the most high-quality and sought after in the market, but all because he has a lot of undeniable advantages that like not only for professionals, but also for beginners, because this version of the OS has all the makings of that software, which due to its flexibility and attractive appearance, can not only be liked by the average PC user, but is ready in bringing to his life new functionality that will be directly related to his computer or laptop. Отлично, ключи получил - очень быстро. все быстро и отлично! очень понравилось! Спасибо. Очень удобно, недорого. Рекомендую. Пользуюсь первый раз, данной площадкой, очень сомневался! Как показала практика, очень зря . Оплатил, ключ получил в течении двух-трех минут ! Спасибо, ха оперативность! Рекомендую ! Ключи получил, активировал - всё работает! За 5 минут все получил и активировал - очень удобно. Ключ пришёл сразу после оплаты. Активировал. Всё в порядке. Рекомендую. Купил Windows 8.1 Professional, ключ и ссылка на образ пришли сразу. Вполне доволен.